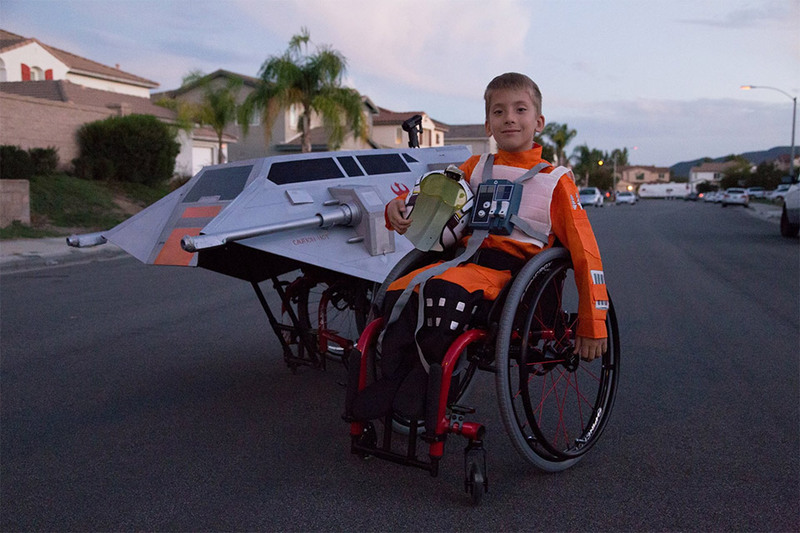 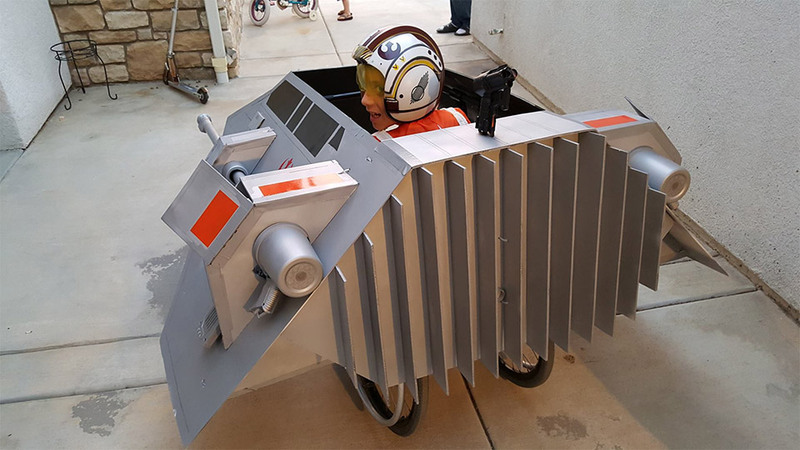 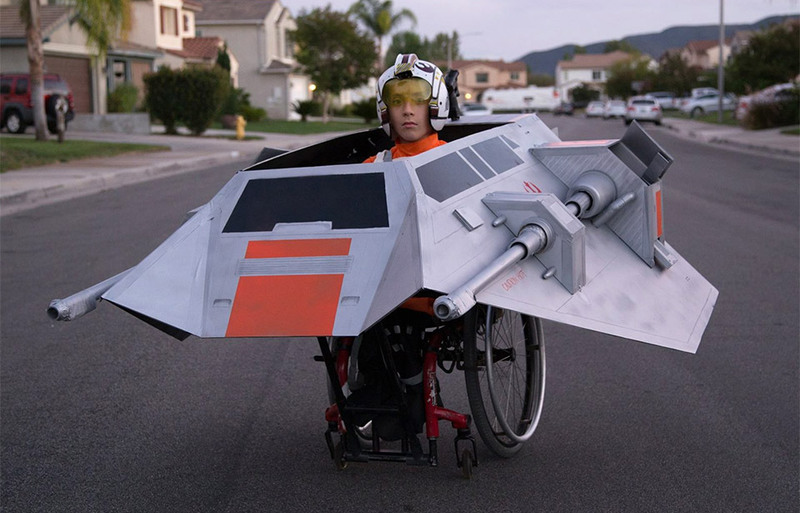 To celebrate Halloween, Ryan Scott Miller raised the Dad bar by building an awesome costume for his son Jeremy – a Rebel Snowspeeder that fits over the top of his wheelchair. 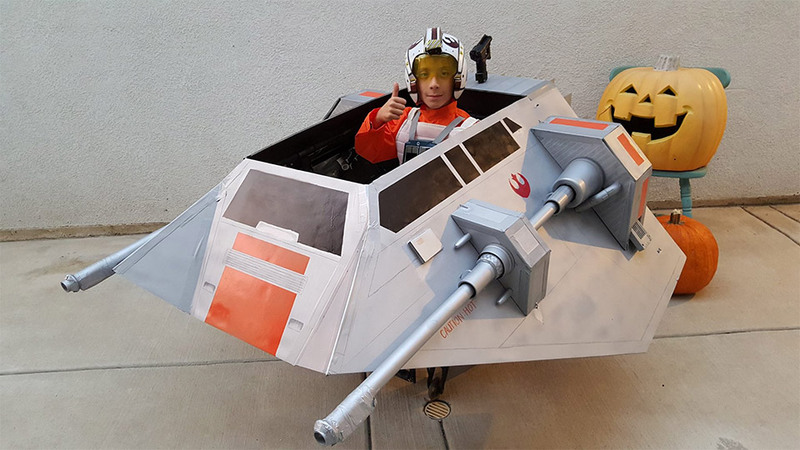 The flaps even work, and the guns fire glowing NERF darts. 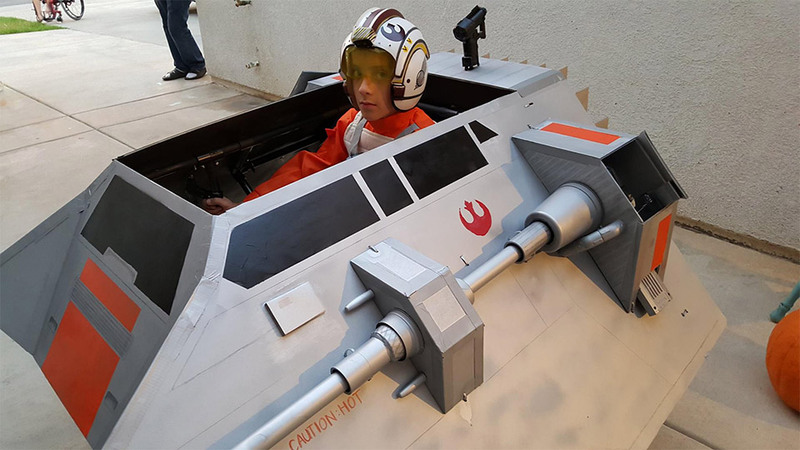 More pics here.